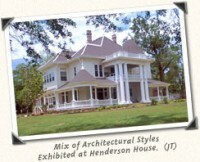 Our award winning lakeside bed and breakfast in Hot Springs, AR will pamper you with tranquil and luxurious atmosphere. Check out our seasonal special & romance packages! 8-room bed & breakfast inn 18 miles north of Hot Springs in the Ouachita Mountains was designed and built to be a romantic getaway and a place for true relaxation. See photos and learn more at MountainThyme.com.